Ymer Berisha (1912-1946) was a secondary-school teacher in Prishtina and was made head of the anticommunist Besa Kombëtare organisation in Kosovo in the final months of the Second World War. In late October 1945, he sent this memorandum to Brigadier General Hodgson, head of the British Military Mission in Albania, in an appeal for help in their futile struggle against the advancing communist partisans. No assistance was forthcoming, and anticommunist forces in Kosovo were soon overwhelmed and annihilated. The whole population of Illyrian Dardania wishes to convey this memorandum to Your Excellency with bitterness in their hearts because of the terror and torture they have been subjected to under the partisans. On 15, 16, 17 and 18 November , after the departure of occupation forces, the partisans entered the towns of Kosovo, and some of them entered the villages. The people of Kosovo, who have never been as well armed as they are now, did not oppose the partisans, seeing that they had the political support of the English. They never believed that, as part of the Atlantic alliance, the partisans would dare to perpetrate such acts of terror and to shed the blood of the people, as they did. Indeed, we were of the opinion that, while German forces were occupying the Balkans, any strong resistance to the partisans was detrimental to the Allied armies. This was the reason in the early spring why we let the partisans into Kosovo without any opposition. However, as they gradually took power in collaboration with the Montenegrin, Serbian, Bulgarian and Macedonian partisans, they set about disarming the people here as a whole, making promise after promise that they would give the people full freedom. Unfortunately, once they had collected all the arms, instead of fulfilling their promises to give the people freedom, they began to enslave them, committing acts of terror and violence unseen in human history. In many regions, people were tortured to death because they were asked to give up arms that they did not have. This happened for example in the village of Krajka near Prizren. Once all the weapons were gathered up, the village leaders, bajraktars and well-known figures were all arrested and sent to prison and hard labour where most of them died of hunger. For example, Xhevat Bey of Peja weighed 93 kilos when he was imprisoned and only 36 kilos when he was released 45 days later. Seeing that he was still alive, despite the treatment he had undergone, they forced him to drink lime dissolved in water, from which he died. Every evening they would take 10-15 of them out of prison and kill them, while teasing them and playing with them. Often the prisoners would be tortured, beaten, cut up or hanged. Some of them had their heads bashed in with sledgehammers and other had their fingernails pierced with needles. Some were kicked in the ribs and other had parts of their bodies chopped off while they were still alive. To top these brutal deeds off, the partisans would make fun of their victims, saying they wanted to buy meat. They shouted things like: "Slice a kilo of meat off for me, too." Burning nails were often driven into their bodies. Under such torture and after such unspeakable deeds, Your Excellency, thousands of innocent Albanians died in Kosovo, an orphaned country. These are types of torture that only the communists could have invented. Heads of families suffered this fate simply because they were men who were good parents and knew how to manage their households well and how to educate over four sons properly. In the village of Muzhevina, in the subprefecture of Istog, not only were all the men of the village slaughtered, but also the 13-member family of Rexhep Haliti, including women and children. The reason they were all murdered is that a partisan was killed on the road nearby. All the officers of the people's army who were in Kosovo were treacherously murdered and thrown into the River Drin. In Drenica, seventy-five well-known persons were slaughtered by having their heads bashed in with sledgehammers. They were then thrown into a large ditch. For this reason, the whole population of the region, some 35,000 inhabitants, rose in revolt to the cry "Freedom or death!" Over 6,000 men began a revolt known as the Drenica Uprising because it took place there, carried out by the people of Drenica. It often happened that a father was in the popular uprising while his son was with the partisan army. A father fighting his own son, a son fighting his own father. Brother against brother. An unspeakable tragedy! How many Albanian died! The Drenica Uprising began on 22 January and ended on 18 February 1945. The Albanians were surrounded by 12-15 partisan brigades who, according to prisoners of war, comprised 36,000 to 50,000 soldiers of Albanian, Montenegrin, Serbian, Macedonian and Bulgarian ethnicity. During the twenty-eight days of fighting, about 430 Drenica fighters were killed or wounded. None were taken prisoner. Over 150 homes were looted and burned down. Around 6,000 inhabitants of Drenica, Vushtrria and Mitrovica were deprived of food and all their belongings. On the partisan side, 6,000 soldiers were wounded, 2,550 were killed and 850 were taken prisoner. On 18 February 1945, four legendary commanders of the nationalist army for freedom fell on the front. They are Shaban Polluzha, Miftar Bajraktari, Mehmet Gradica and Gani Llaushi. They fell while fighting amidst the ruins created by enemy artillery. They resisted to the very end so as not to fall into the hands of the enemy. The Drenica Uprising ended that day when its heroes fell and all their ammunition was spent. After the Drenica Uprising, terror in Kosovo let up somewhat, until the elections of 5-13 September, when the partisan army began operations, seeing that those who had fled into the mountains did not return to vote. They carried out savage repression in the villages, killing and burning thousands of innocent people who worked there in the countryside and whose only crime was that they were not wearing a red star on their caps, or that they did not have documents issued by the partisan leadership in their pockets, or that they had secretly brought food to the nationalist army in the mountains at night. For example, in the subprefecture of Suhareka near Prizren, 160 innocent men were killed within twenty-four hours because they did not vote for the partisans. At that time, the partisans held speeches in the towns and villages, stating that anyone who did not vote for Tito would be killed with all his family. Later, on 12 September 1945, heralds arrived in the towns, calling together all the men, women, girls and boys over the age of eighteen. Anyone who did not vote would have to pay a fine of 5,000 dinars and would be interned with his families for six months. On 13 September, municipal elections were held to choose the mayors. On this occasion, even sick and old people were carted into the polling stations by horse or wicker carriage. The voting took place under the pressure of arms and the “tokens” used for voting were cast into the box that the partisans wanted. All Albanians, from towns and villages, who were suspected of having connections with people hiding in the mountains were denied the right to vote. Only women and girls came out to vote. The partisans caused strife in many families by dividing fathers from their sons and sons from their fathers. Following the Drenica Uprising, they began to mobilize all the boys of the age of 14-15 to take them away from their homeland so that they could no longer continue the struggle against the partisans. God knows how many families were torn apart in this manner, and left defenceless and in eternal misery. At the same time, many Montenegrin and Serbian families were forcibly settled in the homes of Albanian families, and were forced to live with them in one compound or house and, on some occasions, in one room. Other measures were taken in the name of the people and of the law. With them, they have taken our Albanian land and we have been forced to pay dearly simply to survive. We live as slaves and now work for them as their servants. This was the liberation accorded to the Albanian people. They took not only the boys, but also the girls to be partisans, placing them in the ranks of the army. For this reason, the Albanians were forced to get their daughters married without a bridegroom, because the boys were already in the army. It had never happened before that a girl would be married without the presence of her husband. Many Albanian partisans were killed or disappeared in fighting in other Balkan states. Most of them were killed by the partisans themselves who considered them suspicious and unreliable because of the uprising in Kosovo. The exact number of those killed is not known. It is known only that within twenty-four hours 1,670 men were killed in Montenegro, 5,600 men were killed in Dubrovnik and 700 were killed on the road from Prizren to Shkodra. Up to now, approximately 26,000 people have been killed in the following towns and their surroundings: Prizren, Gjakova, Suhareka, Rahovec, Peja, Istog, Plava, Gucia, Skenderaj, Rozhaj, Tutin, Novi Pazar, Mitrovica, Vushtrria, Podujeva, Prishtina, Gjilan, and Ferizaj. Most of them were innocent people whose property was taken away. Their children are now left without any means of support. The inhabitants of Peja were forced to leave their homes and were not allowed to return to them because the partisans suspected that they were feeding the nationalist army in the mountains. Thus, the partisans expelled hundreds of families, leaving them without food or shelter. Heads of families who managed to survive the partisan scourge, are now mobilised in the many bands of the nationalist army in the free mountains of Kosovo where they have been fighting uninterruptedly for eleven months against partisan forces, and suffering from a lack of food and clothing. There are currently about 4,000 soldiers in the mountains and hills. This struggle against the partisans was conducted before and after the Drenica Uprising. 1. Niazi Alishani, Captain Riza Alia and 50 soldiers were surrounded in Dragash by a brigade on 2 July. 2. Deputy Bajram Grobi, subprefect Adem Zdalla, second lieutenant Ramë Alia, second lieutenant Bik Pazari and six other men were surrounded by a battalion in Lipa near Istog. During the fighting, Bajram Grobi, Ramë Alia and his son were killed. 3. Ukë Sadiku battled twice against a group of partisans in April and in August, disarming them once in Garaçevc near Rahovec. 4. Mehmet Aga and Dem Alia in March in Boza near Peja. 5. Zukë Ibrahimi and Riza Zymberi in August and September in Rugova and near Peja. 6. Sali Kama and Bik Pazari in August in Bjeshka near Istog. 7. Amet Selaci and Bislim Bajgora in March in Dumnica in the Shala region of Mitrovica. 8. Bajram Dumnica in July in Dumnica near Lip. 9. Idriz Hoxha and Lef Luda fought the partisans bitterly in Gjilan and Ferizaj, in particular in the first months of their deployment in Kosovo. 10. Qazim Bajraktari of the village of Senik and four of his men were surrounded by a brigade; they killed 26 partisans and withdrew with their men, despite the fact that he and one other man were injured. 11. Alush Smajli and six men were surrounded in a stone tower (kulla) by a battalion in Llozhica near Rahovec. He killed several partisans, but was lucky to escape with his men. 12. Berlac Rogani and seven of his men were surrounded by a battalion on a mountain at Binak near Istog. The battalion was composed of 650 Serbs and Montenegrins. Fighting raged uninterruptedly for 36 hours. He killed 28 partisans and wounded 12 others. To protect themselves from the bullets, the partisans used women and children as human shields, but he refused to give up. He broke through the encirclement and survived with all of his men, despite the fact that they were all injured. This took place in March. 13. 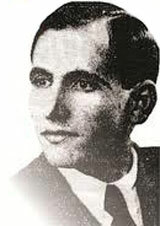 Rexhep Gjeli and his son were surrounded in Çiçavec near Vushtrria and were killed. 14. 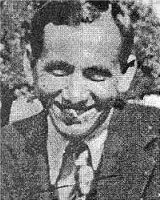 Ndue Përlleshi battled the partisans three times in April in Novosella and in September in Dezhinga. In addition to the bloody Drenica Uprising, there was another bloody confrontation between Liçeva and Lesnika near Istog on 10 September 1945. During a six-hour battle, 32 Albanians were surrounded by 1,300 Montenegrins of the Boka Kotorska brigade. The latter were armed with rifles, grenades, machine-guns and sub-machine-guns, but the Albanians did not surrender. Of the 32 fighters only four survived, though wounded, when they managed to break through the siege. Among them was a girl who was wounded and who fell into the hands of the partisans. 28 faithful soldiers of the Besa Kombëtare organisation fell for their country’s freedom. The leadership of Besa Kombëtare called this the “Battle of the 32 Heroes”. The legendary commanders of the 32 fighters who fell as heroes were: Shaban Sadiku, Adem Shala and Alush Smajli, the latter having survived, though gravely wounded. Your Excellency, aside from the fact that the families who have fled into the mountains have lost all of their property and possessions, the partisans have caused further difficulties and misfortune to the people. Each day, each partisan eats a kilo of roasted meat. For example, in the subprefecture of Rahovec, the population has been forced to provide 1,800 litres of oil, 200,000 kilos of meat, great amounts of beans, cheese, honey, fruit, wool, hides, sandals, socks, peppers and nuts. They are even forced to come up with hazelnuts although they do not have any. All the grain from the earlier harvest was confiscated and now the grain from the new harvest has been confiscated, too. They steal wherever they can – on the street, in homes, all types of theft. The people do not know how long they can survive this. They see only death before them. All the grain seized by the partisans has been sent to Montenegro where, as the partisans state, final resistance to Anglo-American forces will take place. Your Excellency, the much-suffering people of Dardania who have been unable to enjoy freedom for some time now, expect of England, the bearer of freedom in Europe, light and salvation. They have placed all of their hopes and expectations on Anglo-American justice. The whole population of Kosovo, more than 950,000 people, is ready, if a signal is given, to rise and fight the partisans. Both young and old, men and women, will fight with whatever arms they have – rifles, swords, knives, to save themselves from the terrible enslavement that has caused the deaths of so many families. Your Excellency, the people beg the freedom-loving Anglo-American alliance to intervene where they can to stop the partisan terror in Kosovo and to prevent any solution reached under the pressure of arms because, of the million Kosovars, there are not even 2% who would vote for the partisans. The will of the people is to vote for a free and democratic Albania. We are convinced that the Anglo-American victors will take up our cause, based on the Atlantic alliance. Our army is organised in bands in the mountains and is ready to fight. We all have the will and heart to do so, but we are unfortunately lacking arms and equipment. For this reason, we appeal to your understanding and call for any assistance you can provide to our men who have been fighting uninterruptedly for eleven months now. and Head of the Assembly of the Nationalist Army.